Sept. 19, 2018, 10:22 a.m.
Blockchain-and-journalism startup Civil aims to build a decentralized infrastructure for news, and you can invest in their vision. It just might take you a while. By John Keefe Sept. 19, 2018, 10:22 a.m.
I’m pretty sure I purchased Civil tokens yesterday — literally buying into an experiment to strengthen journalism by putting some of it on the blockchain. After passing two tests, uploading my passport and driver’s license to unfamiliar websites, and plunking down a large (for me) sum for a cryptocurrency, I was cleared for token takeoff. When the sale began at 10 a.m., I indicated how many Civil tokens I wanted and sent off that valuable cryptocurrency to pay for them. No tokens appeared in my digital wallet. No comforting “your tokens are being shipped” email. Not even a “Share your purchase with a friend!” button. The “purchased” area in my account was blank. But I’m actually at peace with that. I think it’s going to work out, and I’m into this journey. Earlier this year, my friends Manoush Zomorodi and Jen Poyant left their public radio jobs to join this new journalism…thing named Civil. I had heard tidbits about Civil, and was honestly pretty confused. All the smart people I talked to seemed confused, too. Manoush’s and Jen’s podcast ZigZag attempts to explain it, and I think I can take a stab now: Civil is a system designed to foster and reward quality journalism in a decentralized way, in contrast to platforms like Facebook and Google. 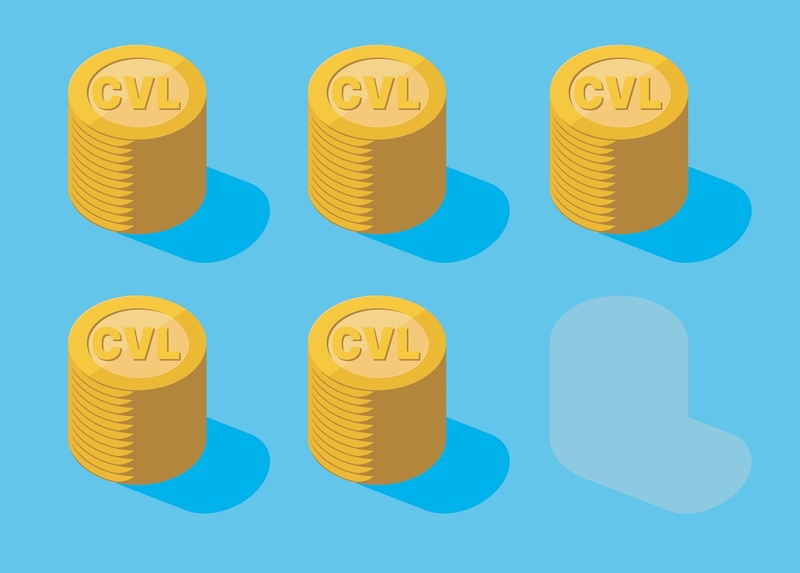 The system’s backbone is the blockchain-based Civil token, abbreviated CVL. Holders of tokens can start news organizations in the system, challenge the membership of other news organizations in the system, and/or cast votes when such challenges arise. So the time seemed right to jump in. I just needed to buy some CVL…though it turns out there’s no just about it. Quick note: I’m talking about real money here and there was a moment when I technically lost $100. So please don’t take my experience as gospel, or even 100 percent accurate — I’m a beginner at this, I expected to be imperfect along the way, and even Civil’s instructions have changed in the last few days. That said, about a week ago, I followed the path described in this PDF. Here were my steps. Started the sign up process. Studied this PDF about how it all works, what the risks are, and how I shouldn’t toy with large parts of my net worth. Took a quiz to make sure I actually understood all of those things. Uploaded a photo of my passport to prove I’m me. This was not my favorite step, but I knew it would be coming and also that it was required. Took a selfie with my laptop camera. Waited for the email saying I was legit and verified as me. Got the email, and was good to go. Went to the Civil project page. Read all of the other material on the site (some of which I knew from the ZigZag podcast). 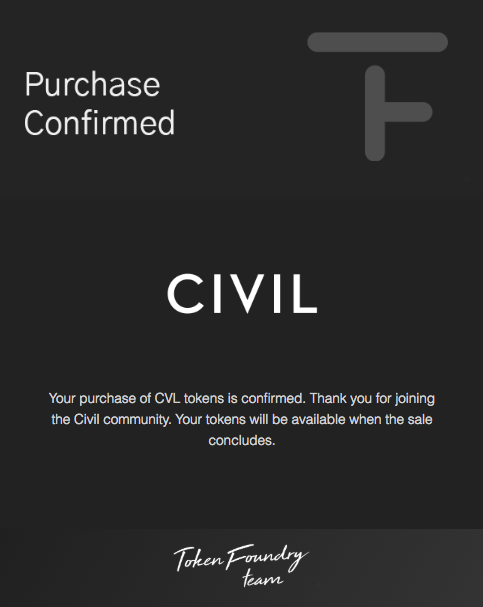 Took yet another quiz specific to Civil, which included the contract into which I enter by buying CVL tokens. This was pretty key, because here I learned that I can’t sell my tokens to just anyone; they have to be Civil-approved. Also, I can’t sell CVL unless I actively participate in the Civil system by, for example, voting. Declared my intent to buy a specific dollar amount of CVL tokens. The upshot is that CVL isn’t designed as a way to get rich quickly. Fortunately, that wasn’t my goal. Also, I’m bad at that, always. I would soon need to turn real dollars into blockchain-based cryptocurrency — in this case, Ethereum tokens, which is abbreviated ETH. I needed ETH to buy CVL. Two things have changed since I did this. First, Civil announced that, starting October 2, they would allow people to buy CVL directly with dollars — so no need to buy ETH first. Second, the website recommended to buy ETH shifted from Coinbase to Gemini. Signed up for a Coinbase account. Provided a picture of my drivers license, front and back, using my laptop’s camera. Got verified as me, which took about a minute. Linked a debit card to the account. Looked into my bank account to find two tiny withdrawal “holds” and reported them back to Coinbase to confirm my account. At this point, I was ready to inject real dollars into the process. But neither Coinbase nor Token Foundry is where I’d actually buy, sell, or exchange tokens. That happens in Metamask. 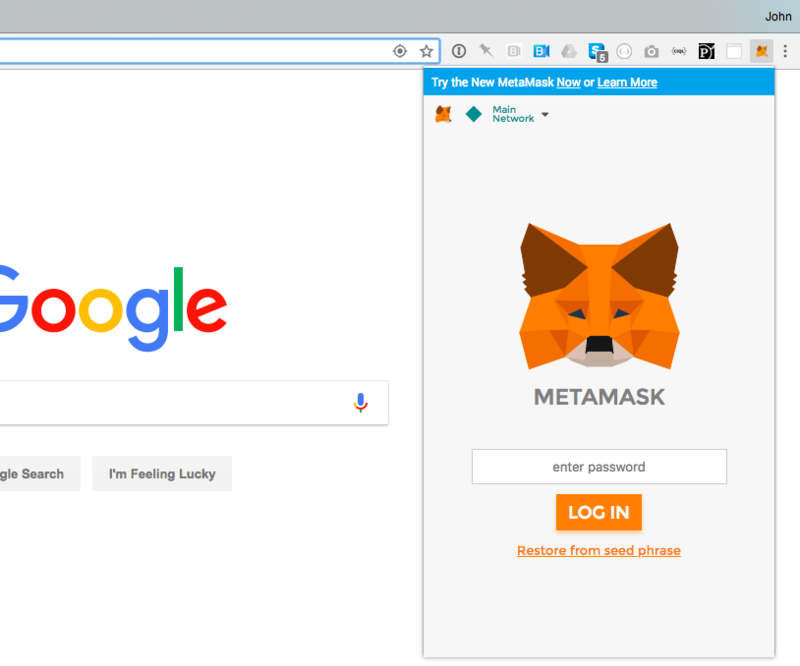 Metamask is a browser extension that added a little fox icon to my browser’s toolbar. Installed Metamask from the Chrome Web Store. Got a list of 12 words that constitute the passphrase for my Metamask wallet — and, per the instructions from Token Foundry, decidedly did not photograph nor store these electronically anywhere. I put pen to paper, and then put paper in a safe deposit box. Then, inside the Metamask window, clicked “buy” and instructed Metamask to use my Coinbase account (and the debit card stored there) to buy some Ethereum. Turns out I was trying to buy too much. I knew the Coinbase limit for debit cards was $300, so I entered $300. But it failed. I tried $299. Also failed. I figured out that there were some transaction fees that were putting me over the limit. So I tried $250. Finally, I tried linking a bank account directly to Coinbase. The instructions said this could take up to seven days to go through, which was okay because I was still more than a week out from the CVL token sale. But since my bank was on the Coinbase list of banks it can readily talk to, it worked right away. I went back to the Metamask window and yet again tried to purchase Ethereum, this time using my bank account. The sale went through, it said. But there was no deduction in my bank account and no Ethereum in my Metamask wallet. Was it gone? Then I found that there was Ethereum in my Coinbase account. Maybe this was the seven-day wait? The next morning, the Ethereum was sitting in my Metamask wallet. But I was ready for the sale. At 9:59 a.m. Tuesday, I popped open my laptop. The Civil token sale opened a minute later. I even got a link taking me to the digital details of the transaction on the blockchain, clearly showing my ETH went to Token Foundry. But there was no record that once there, those tokens had become CVL tokens, or even that they will at some point in the future. The only receipt I had of a CVL token transaction was the “success” screenshot above I happened to snap because I planned to write about my experience. After reading so much about the immutability of blockchain records and keeping your cryptocurrency secure, the lack of even a “pending” transaction record was a little odd. But I wasn’t concerned. One thing I’ve learned in this process is that the Civil folks have thought a lot about this system and this sale. Plus, I had both the screenshot and a blockchain transaction showing I sent Token Foundry a bunch of Ethereum. Of greater concern might be that the entire sale won’t go through at all if Civil doesn’t sell more than $8 million in tokens by October 15. I hope I’m wrong. I’d like to see how this experiment plays out — and I have a small stake in it. John Keefe is a product manager and bot developer at Quartz. POSTED Sept. 19, 2018, 10:22 a.m.
Keefe, John. "How to buy into journalism’s blockchain future (in only 44 steps)." Nieman Journalism Lab. Nieman Foundation for Journalism at Harvard, 19 Sep. 2018. Web. 19 Apr. 2019. Keefe, John. "How to buy into journalism’s blockchain future (in only 44 steps)." Nieman Journalism Lab. Last modified September 19, 2018. Accessed April 19, 2019. https://www.niemanlab.org/2018/09/how-to-buy-into-journalisms-blockchain-future-in-only-44-steps/.